Once again, thank you for visiting, if there is anything you’d like to add, feel free to leave it in the comments below. I don’t boost on knowing everything, so if there is something that I made a mistake on calling me out. Online Marketing isn’t something we should go at it alone, always remember that we are in it together so we should hold each other accountable. Online Marketing isn’t a get out of jail free card or the gold from the gold rush days. You need to be in it for the long term and sometimes that means getting a job for your current situation. For some I know that’s not what you want to hear and I’m sure there are plenty of gurus out there that will tell you that you can make triple digit paycheck in a week. If you’re looking for something short term, I suggest getting a job. almost as elusive that you need to make a long-term goal to achieve. Online Marketing needs to be a Long Term Goal, for anything short term you need a job. If that’s flipping burgers for a living then so be it, the main thing is that your working for a better future. That’s what I tell myself when I’m working my day to day job, that one of these days I can just tell them goodbye. Building a business is hard, trying to juggle that with a job is even harder. After getting off from work, the last thing you want to do is do more work. If you find a niche that you’re excited about, this won’t be a problem because it’s more like going home to hang out with your best friends. Though there are some things of this business that might seem to drag on, like that dream that is still unfulfilled, be like Martin and keep fighting the good fight. Share something about your life struggle when building your business, I know I’m no the only one out there, and leave it in the comment below. This one advice is a killer for some online adventures, if you don’t schedule it sometimes it won’t get done. You just need to schedule yourself into your life. The idea of getting back your own time can be very enticing and since your home, everyone might be fighting for your time. The first piece of advice that I would give everyone is that you need to schedule your Online Business into your life, that training that you’ve wanted to go through for some time, schedule it in and do it. It helps to communicate to others when you are going to work, this helps you and them. Being with the ones you love is important, but even they can trample over your work if you’re not careful. So letting them know that this is the time you work on your business, sets a parameter of expectation. Even when you get off work, 2 hours is a good time to set for your business building time. Let others know and that your not to be disturbed until that 2 hours is done. Consider it building up your business muscles, just like exercise, you need to set a time to do it. You can get creative in this, for some setting out a section of your home dedicated to working helps. For me, I have a table in the living room where my work is done. Not out of choice, but the necessity and my wife know, if my headphones are on, I’m working. Another thing that helps is music, it’s a great way to set the tone when your writing. For me, I love the music in movies such as Star Wars or Raiders of the lost Ark. Whatever works for you, music sets the tone for your office and keeps you focused. Next Next post: My Online Sales Pro Review, Is It Legit Or Scam? Paying it forward is a superb idea. 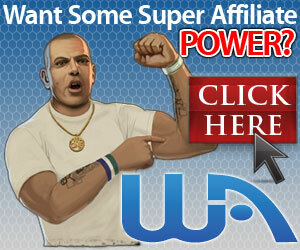 I hear that Wealthy Affiliate seems to encourage this and they are to be commended for that. I saved up about six months of income a couple of years ago and decided to quit my job to work on my online business. After a few months I knew I was not even close to making a full time income, so I went back to work. Now my job is the short term job and my online business is the long term goal. I know it will replace my income one day and when it does, I will put my two notice in. I’ve been a member of Wealthy Affiliate for over a year now and I’m well on my way! Working from home is not as easy as people might think. You say that yourself, when you get home from your regular job, the last think you want is more work, so that’s why is so important to have a schedule and stick to it. I’m always trying to get new ideas and discover tips to make this working-from-home thing my business in the end. Thanks for the insights on this! Cheers! It’s all about prioritizing when you go to work, that’s something you have to do until what you love makes you money. Sometimes in life, it’s the less important that screams the loudest and you end up doing stuff that you shouldn’t be doing. I know this from experience. Find what you’re good at, what you love the most and build your business around that.